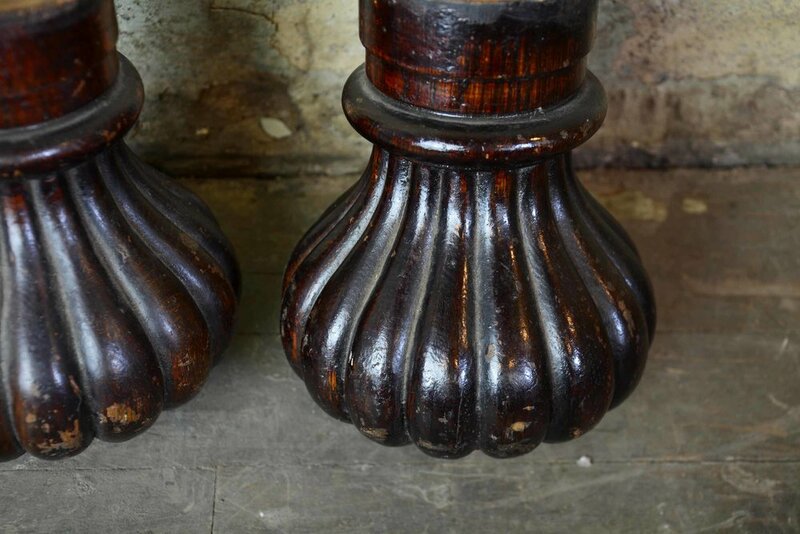 Beautiful fluted oak furniture feet. Features brass casters and glossy finish. $14.99 shipping within the continental United States. International shipping also available. Please contact us for a quote.